The First Noble Truth of Buddhism, that life inevitably involves suffering (dukkha). Nisargadatta, a Hindu guru of nondualism, clarifies, that "pain is physical, suffering is mental." And so, while pain is unavoidable in our lives, suffering is not (or at least the extent to which we suffer is avoidable). It’s like the saying that I’m sure you’ve heard: We can’t always choose what happens to us, but we can choose how we will respond. Only when we sit with our suffering, acknowledging it, being aware of it, can we begin to understand it, grow from it, and move through it. When we sit with our suffering we will inevitably find that it is linked to the extent to which we are clinging to, or attached to, an outcome. This is the Second Noble Truth of Buddhism: suffering is caused by craving, rooted in ignorance. “Rooted in ignorance” means that we’ve forgotten, or don’t like, or choose to ignore, the reality of life. The Buddha would remind his followers, “It seems that although we thought ourselves permanent, we are not. Although we thought ourselves settled, we are not. Although we thought we would last forever, we will not.” This is ignorance. 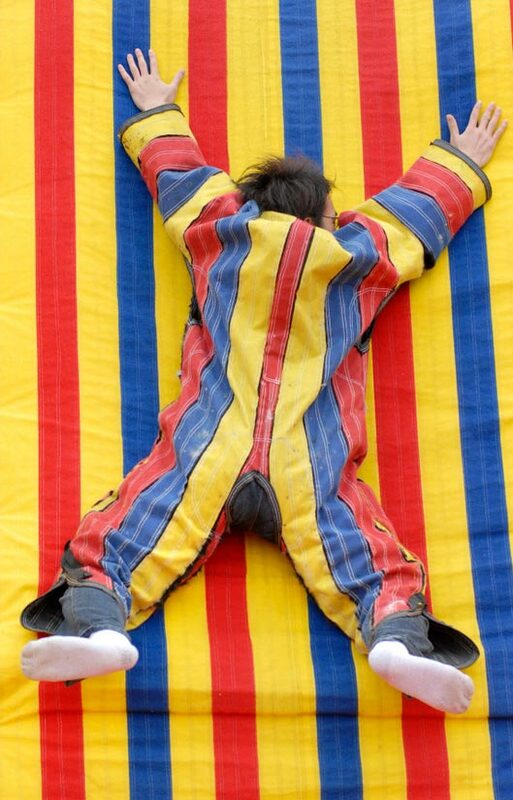 We humans have what Buddhist dharma teacher, Geri Larkin, calls “Velcro nature.” In thinking about this phrase, my mind started conjuring pictures of Velcro walls. I've never had the questionable pleasure of wearing a full suit of one side of the Velcro and throwing myself at a wall of the other side, but it looks... um... interesting. I’ve seen pictures of people spread eagle, upside down, sideways… and stuck. My daughter says it isn’t that hard to get yourself off the wall, but in my mind I imagine needing to be pried off! We’re like this with our cravings, desires, and wants. We cling to, or get velcroed to so many things: our need to perfect, expectations, outcomes, anger, beliefs, opinions, people, stuff, habits, failure, grief, looks, and more. Remember, none of these things, relationships, or feelings is inherently negative or bad. The Second Noble Truth does not say you must live in poverty, without things, without loving relationships, without likes and dislikes. It simply reminds us that if we become too attached to those things we will eventually suffer emotionally because of it. It is ok to have stuff, and to like and enjoy our stuff, but to be devastated should something happen to our stuff means we’re too attached. I know a woman recently who lost the majority of her “stuff” in a fire and was remarkably calm about all of it because she could recognize that it was just stuff. While many of us expected her to melt down, her calm acceptance gave her freedom and peace of mind that she would not have had otherwise. It is ok to love and care for our children (or our partners, or our parents, or our relatives), but If we try to control what they do, how they do it, and what they think, we will be disappointed and suffer. Of course, it will also help if we lower our expectations, and don’t take anything personally! Relationships without attachment frees us to appreciate the person for who they are and where they are without judgment or the need to change them. Because of this amazing perspective, the Dalai Lama is one of the most respected, compassionate leaders for justice this world has ever seen. And, of course, it is natural to grieve when we lose someone we love. This is the hardest application of the Second Noble Truth to wrap our heads around. Loving someone, caring about someone, being devoted to someone’s well-being is great, but being attached to the notion that they’ll be healthy and live forever is unrealistic. Expecting someone to live to a certain age, or die a certain way, is out of our control. Letting go of our attachment does not mean we forget about them or that they weren’t important to us. Letting go of our attachment frees us to celebrate them and remember them without emotionally sufferingourselves. It means we accept the impermanence of life, we accept that we can’t change what is, and we allow ourselves the freedom to be grateful for their presence in our lives, for the way they shaped us, and for the memories we have. The challenge is to be mindful and aware of our Velcro nature. Can we identify how we feel when we are suffering – stomach in knots, tightness in chest, shallow breathing – and then seek to identify the source. What are we clinging to? Then let go and know a new kind of freedom and peace.